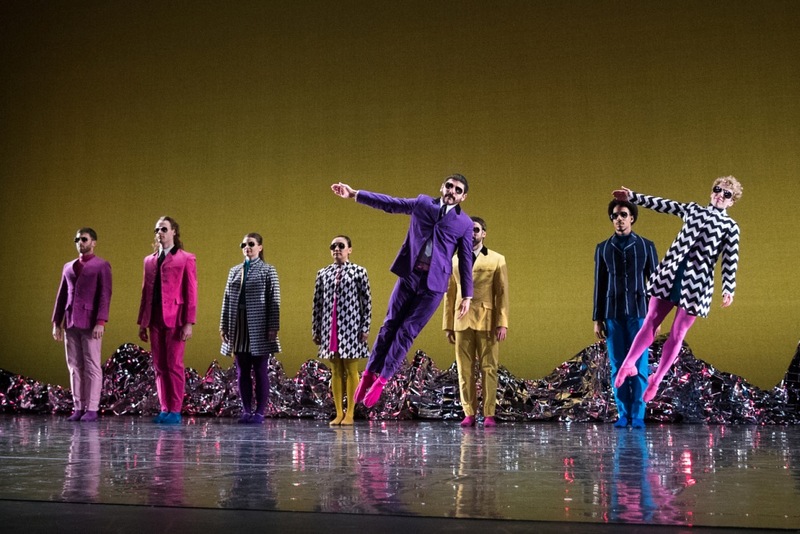 Renowned US choreographer Mark Morris, often praised for the musicality of his company’s work, appears to be a good match for a dance reimagining of the much-loved Beatles album Sgt. Pepper’s Lonely Hearts Club Band. 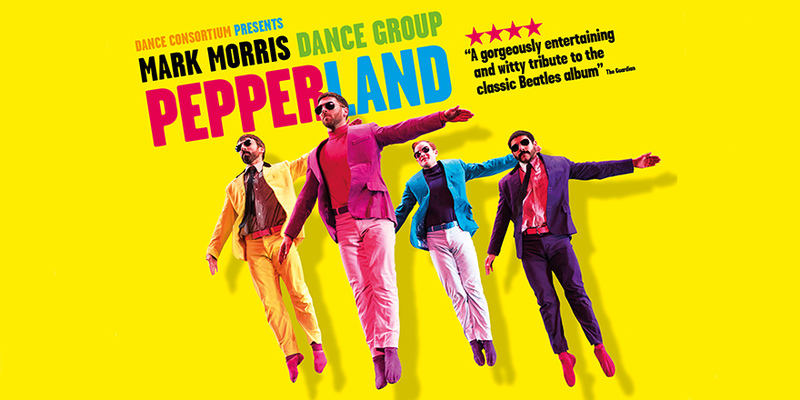 His piece, Pepperland premiered in Liverpool back in 2017, as part of a festival marking the 50th anniversary of the record’s release. Morris may have been tempted to create a straight-forward homage to the album to please a hometown crowd, but as I sit at the front of a packed Birmingham Hippodrome tonight I’m expecting a piece that’s much more nuanced and interesting than that. The opening title track sets the scene. 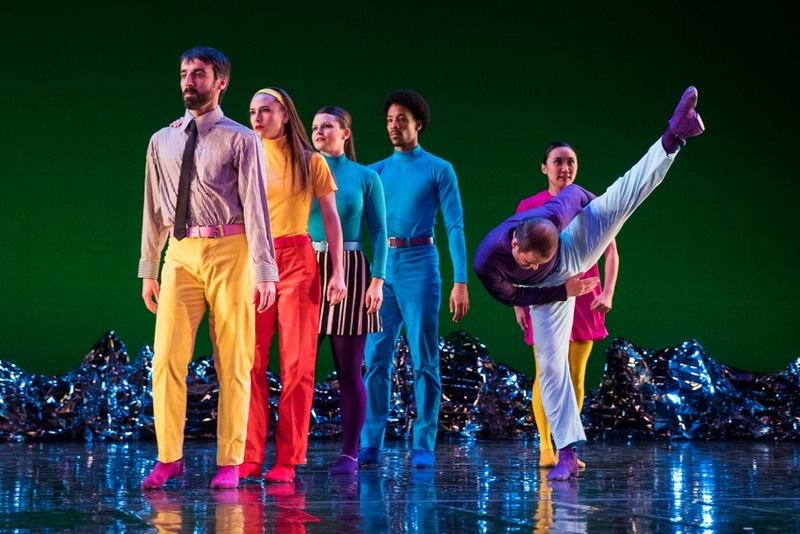 The dancers wear vibrant, 60s-inspired costumes, but the music itself, performed by a wonderful seven-piece live band, is a little off-kilter. It’s like Sgt. Pepper’s from a parallel universe, one where some theremin playfully pops up and it totally works. Morris partnered with long-time collaborator Ethan Iverson (performing with the band tonight, on piano) to create a score inspired by the classic album. So, there are familiar re-workings of Beatles songs, mixed with some original compositions inspired by some of the album’s classical influences. ‘When I’m Sixty Four’ is another early highlight. This is a jerky, music hall take on the song. It keeps changing tempo, and it almost feels like the instruments are all playing different time signatures. You’re waiting for it to fall apart at any moment, a little like watching an elderly person struggling to get up the stairs. Dancers in pairs act out movements inspired by the lyrics, which are so familiar that they don’t need to be sung. The final moments of the song, with a female dancer carrying a male dancer off the stage, raises a chuckle with the audience. We’re enjoying ourselves. At the heart of the evening, both literally and thematically, is George Harrison’s ‘Within You, Without You’. 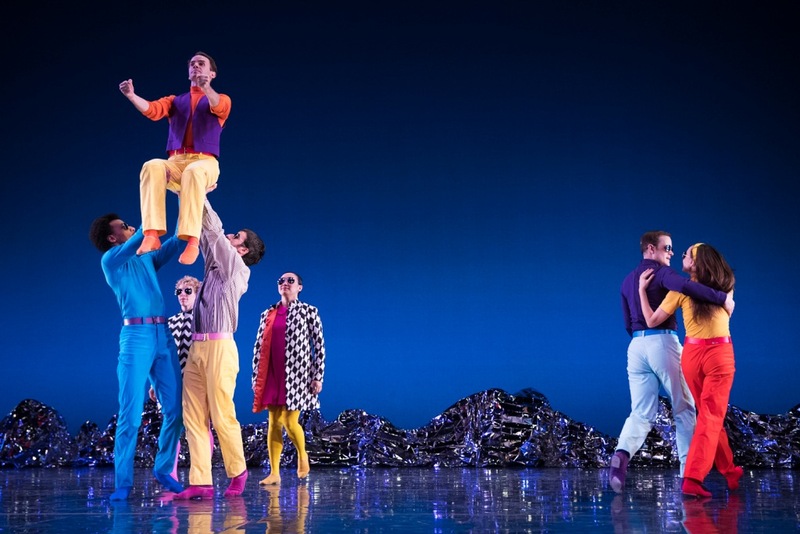 As a dancer meditates in the middle of the stage, the rest of the company dances around him, lifting each other to an emotional climax. The meditator eventually rises, perhaps enlightened, and the company starts echoing his movements. As the lyrics spell out, “the time (has) come when you see we’re all one,” he’s arisen from isolation to be part of a bigger ideology. As we move towards the end of Pepperland, we’re treated to an unexpected version of ‘Penny Lane’. Unexpected because ‘Penny Lane’ doesn’t actually feature on the album (though, apparently it was recorded in the same sessions) and because it’s musically reworked, with theremin and harpsichord bringing out new dynamics and intensity, while the dance itself is largely limited to an interpretation of the lyrics. ‘A Day in the Life’ is treated in a similar way, the theremin spookily and expressively carries much of the melody while the dancers act out the familiar lyrics of a car crash and the English Army winning the war. When the vocals eventually come in for the “Woke up, got out of bed, dragged a comb across my head” section, that’s exactly what the dancers simultaneously do. This cleverly conveys the mindlessness of a morning routine, though literal interpretations of the lyrics feel slightly overused in the Beatles parts of the score. Pepperland may not be one for the Beatles purists. It messes around with the track order, adds in a song that was never on the album, and juxtaposes it all with new compositions that are more classical than pop. A jukebox musical it isn’t. But, in doing so, this hour-long piece presents plenty of light and shade, plenty of fresh musical takes on the album, all while staying true to its themes and the ambition of its vision. The reprise of ‘Sgt. Pepper’s Lonely Hearts Club Band’ ends what is, of course, intended to be a celebration of this famous album. There’s handclapping, brass, and lots of energy. “We hope that you have enjoyed the show”. We certainly did. As the famous last chord fades and we walk out into the night, it’s like waking up from a colourful Beatles dreamworld.